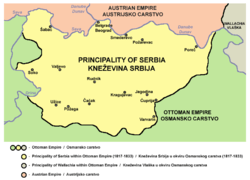 For other uses, see Principality of Serbia (medieval). 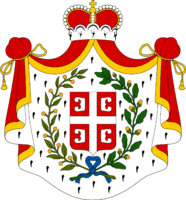 The Principality of Serbia (Serbian: Кнежевина Србија / Kneževina Srbija) was a semi-independent state in the Balkans that came into existence as a result of the Serbian Revolution which lasted between 1804 and 1817. 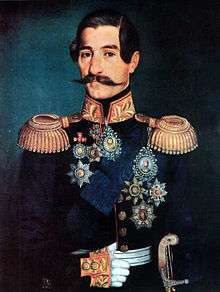 Its creation was negotiated first through an unwritten agreement between Miloš Obrenović, leader of the Second Serbian Uprising and Ottoman official Marashli Pasha. 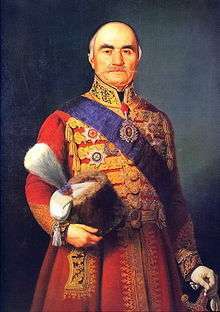 It was followed by the series of legal documents published by the Porte in 1828, 1829 and finally, 1830 — the Hatt-i Sharif. 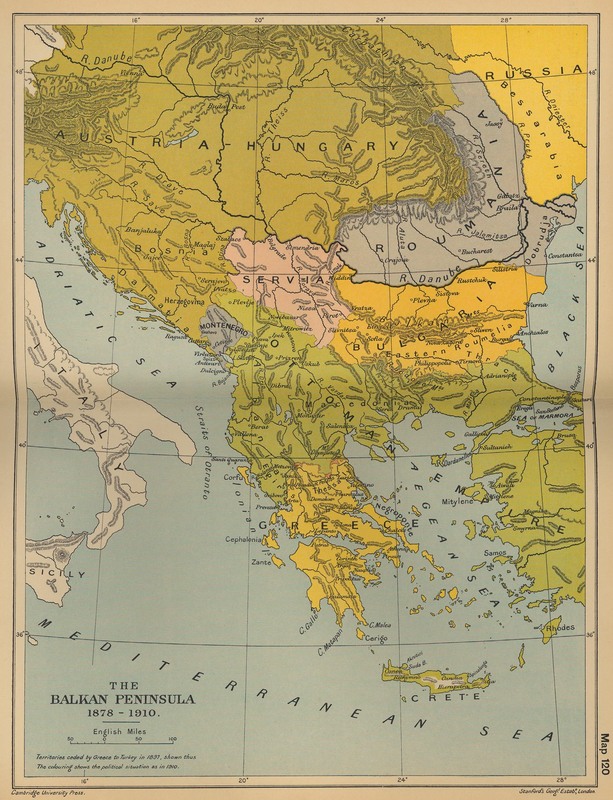 Its de facto independence ensued in 1867, following the expulsion of all Ottoman troops from the country; Treaty of Berlin (1878) recognized its independence internationally. 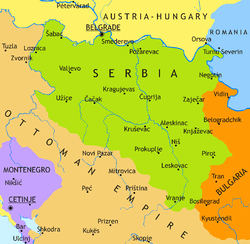 By 1882 the country was elevated to Kingdom of Serbia. ↑ Stanford J. Shaw and Ezel Kural Shaw, History of the Ottoman Empire and Modern Turkey, Volume 2: Reform, Revolution and Republic—The Rise of Modern Turkey, 1808–1975 (Cambridge University Press, 1977), p. 148.